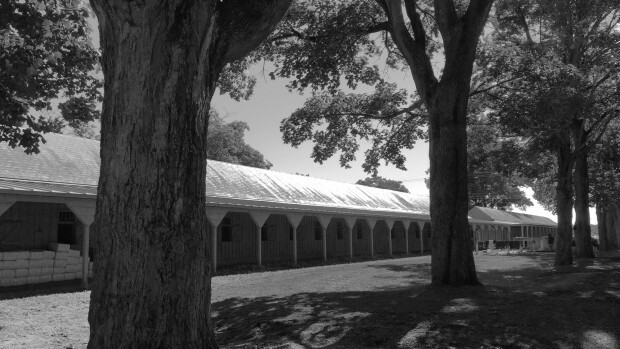 Coz and Ziconic are just a few stalls from each other in John’s barn at Saratoga. 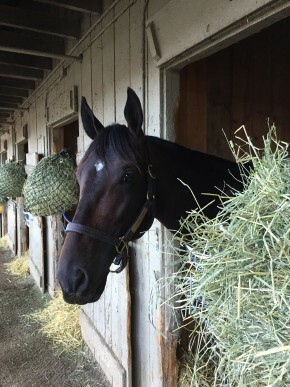 Zenyatta’s boys are at Saratoga with John Shirreffs. They’re enjoying the greenery and beautiful weather. 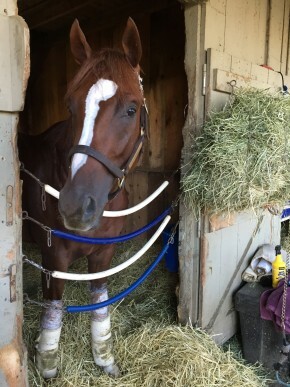 Scroll down for a quick video of Ziconic in his stall. Flowers keep us close to the earth and show us what repetition can do. When we are good planters and caretakers we see results-not just once but many times in many ways. We see the garden in our minds before we plant, and we see its needs and what we can do to make it better. But the garden in the mind stretches farther than just flowers and vegetables. It needs the same careful cultivation-never letting the weed of illness or strife or discord take root. This garden blooms year round and we should refuse to let it become a weed patch. It is a day of beauty and bright sunshine. I rejoice that we can all meet here as friends, eat our bread and meat in communion, smoke the council pipe and the pipe of peace. What a wonderful and up lifting devotional for the day. Nature is just so wobderful. I agree! I so admire native Americans’ respect for and closeness to nature. Dear Kathy.My mother always told me “You are nearer God’s heart in the garden than anywhere else in the world”Sadly I no longer have a garden but I can dream!I posted poor Ollie’s story on your timelime.Bless him a lion cut isn’t really needed in Gateshead! !Frankie rushed home yesterday when he heard about the emu on the loose but Bruce was fast asleep!Eric is with the RSPCA.Monty is on the perch preening in the sunshine west is best today!47 fish last week 36 from Monty and 11 from Glesni Celyn was screaming this morning!Did you read about the dog who saved nearly 1000 on 9/11.Think she was called Daisy.She got quite badly injured but survived.Oh,gosh we are getting a raunchy version of Lady Chatterley’s Lover in September.It will keep us happy until “Poldark” returns.Poor Judy’s BP is still high she really should slow down.Mango said maybe some new meds?Cha-cha needs yet more surgery on her little legs and her mum is heartbroken but Angel Marie (the mini-horse)is doing really well and getting a special cart.Very excited about York tomorrow.Have a great day.Love and hugs to you,Kisses for Holly,Nikko and Sugar.SheenaXOXODid you see Fubu’s sissy Brittany it was her 30th birthday. It looks as if Glesni has left for Africa.More news tomorrow.Blue 24 decided to pay a visit.I should imagine the bobs are telling her”leave our daddy alone”!!!Sheena. Coz looks like his mother and Ziconic does not. I love this video….too cute!